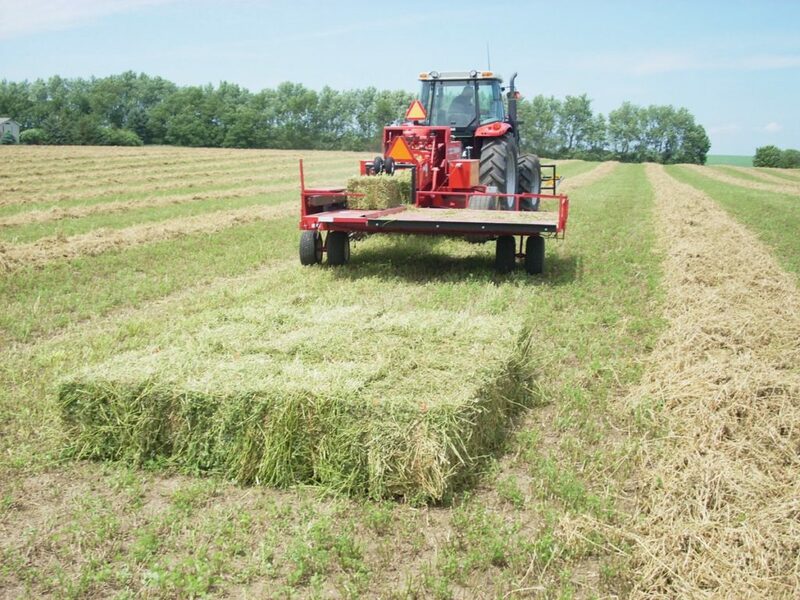 The preferred option for retrieving small square bales. 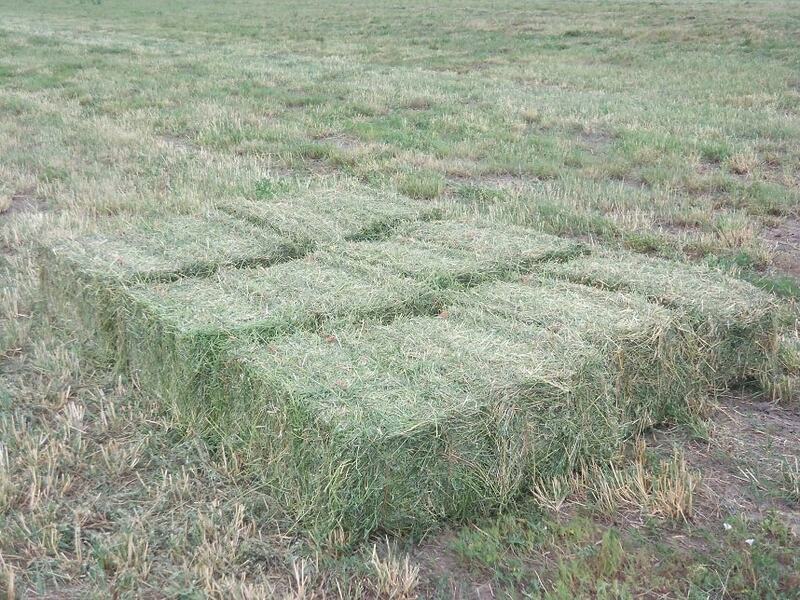 Demand is ever increasing for quality small square bales of hay and straw. 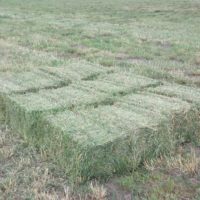 Though different methods of hay and straw harvesting over the years have evolved, small square bales are still a choice for those seeking a premium and easy handling product for small farms, ranches, specialty livestock, and the landscaping industry. 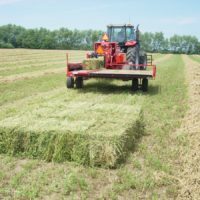 One of the main issues in small square bale production has been the labor intensity of the operation, no matter if you are a small producer or a large commercial producer. There was a day when labor was plentiful in rural areas with neighbors pitching in to help with hauling hay. 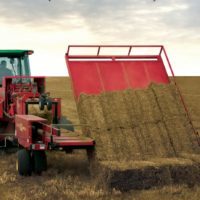 As demographics have changed in recent years, and the labor pool has been decreasing, the need for efficient small square bale management is a must for producers. 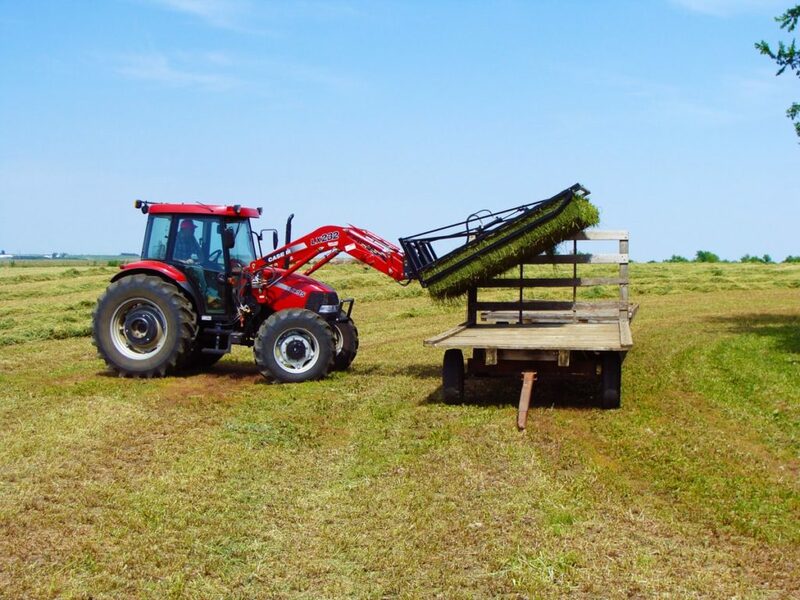 What system will maintain the highest quality bale for my needs as well as my customers? 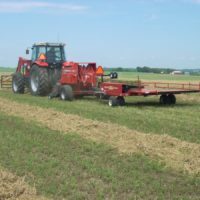 What system will maintain the integrity of my bales without cutting strings, busting bales, or plugging the baler? 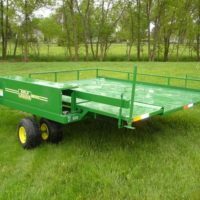 What system will give me a clean bale, free of dirt and foreign material, that is safe for livestock? 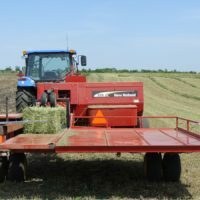 What system will not limit the speed/bale output or create premature wear of my small square baler? 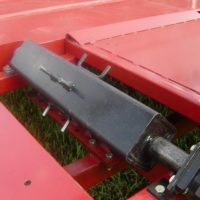 What system will not cause harm to my tractor? 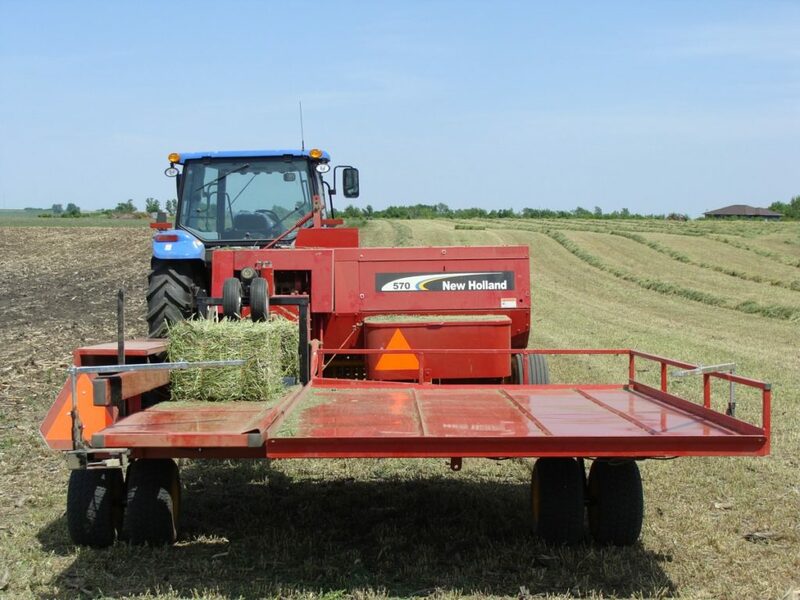 The Bale Caddie is designed with principle benefits for operators and hay producers. The Bale Caddie incorporates several unique design features to eliminate plugging, which is an issue on many other bale accumulator systems. Many bale accumulators on the market today use the baler's plunger to move bales into the respective accumulation system. With the majority of the baler's plunger power being used to make the actual bale, the force needed to keep bales moving to the accumulator may vary. If bales get sideways or jammed in a shoot, the entire system stops. Patented spike roller: Keeps bales in motion up to the bed of the Bale Caddie. Speed of roller can be adjusted for speed of baler. 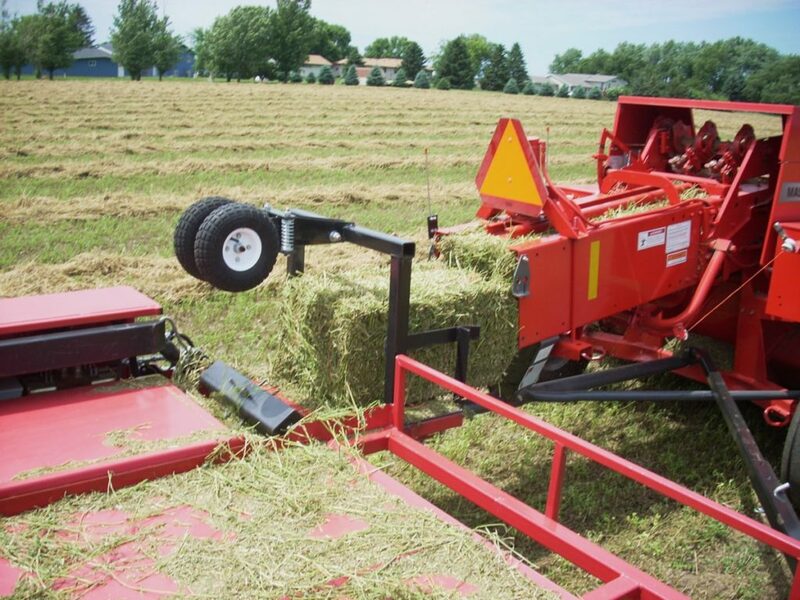 In-Line design: The Bale Caddie attaches to the rear of the baler rather than with a hitch pin. 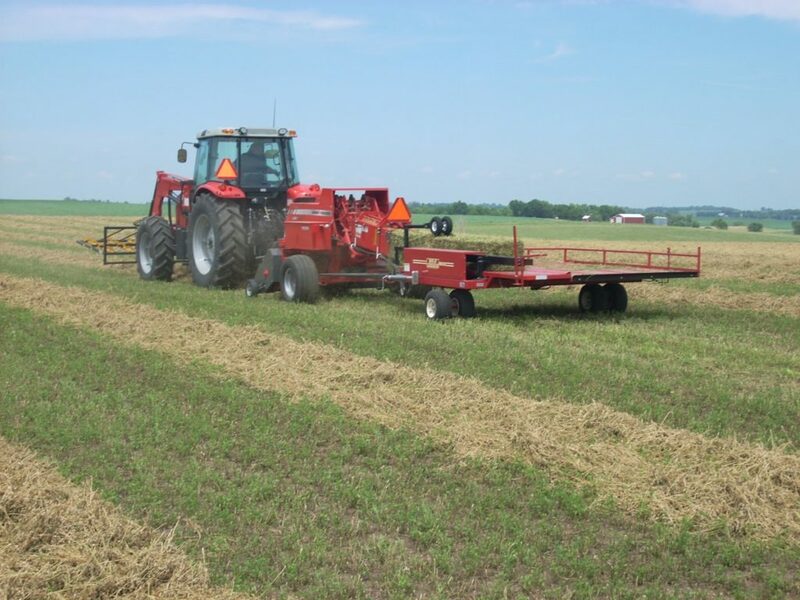 When the baler turns, the Bale Caddie stays straight with the baler, no articulation point for bale jamming or plugging. The Bale Caddie is attached with an in-line, flat transition between baler and accumulator for the smoothest bale flow in the industry. 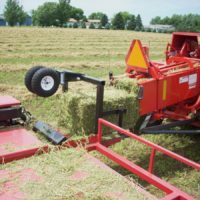 Quick Response Hydraulics: The Bale Caddie organizes bales on its bed with superb speed, not interfering with bale flow from the baler. Baler Shoot Kept Clean: Bales are constantly removed from the baler's shoot, always maintaining 36" of clear area between bales. No bales pushing each other to create product flow. The Bale Caddie was born from dealing with the frustrations of current bale accumulators on the market. 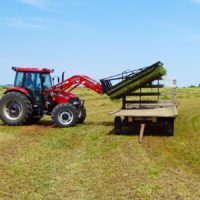 Many accumulators inhibit your baler's performance by slowing your balers ground speed, operating speed, and the need to make adjustments to your baler to accommodate an accumulator. 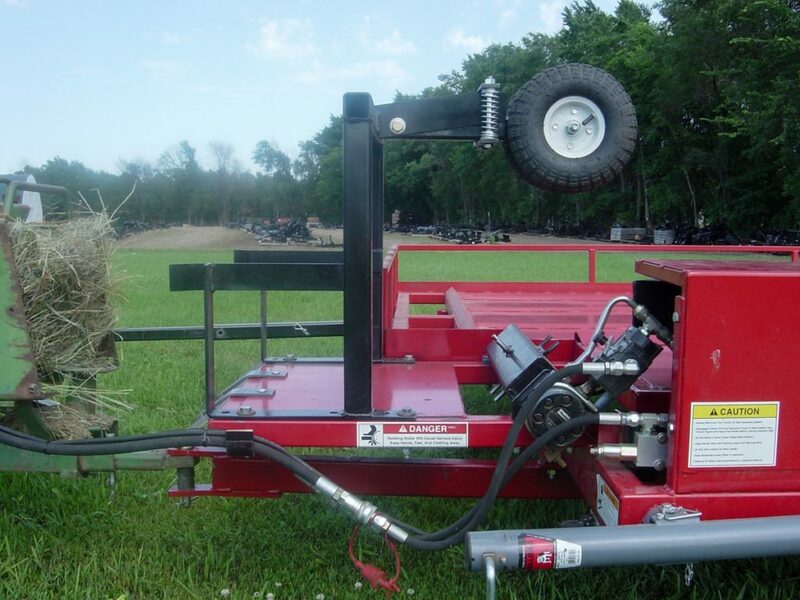 No speed limit: The patented spike roller keeps bales in motion up to the bed of the Bale Caddie. The speed of the spike roller can be adjusted to exceed the maximum bale output of your baler, allowing for maximum ground speed. 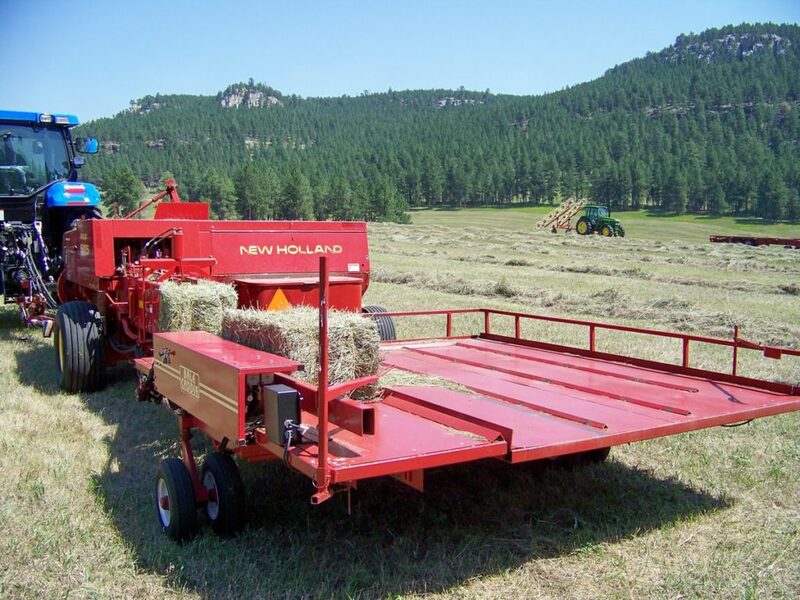 Quick Response Hydraulics: The Bale Caddie organizes bales on its bed with superb speed. 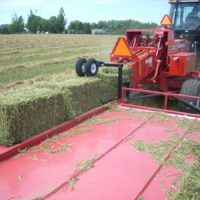 Response time to bale organizing on the bed and bale unloading is a fast and easy motion, not impairing any bale flow from the baler. 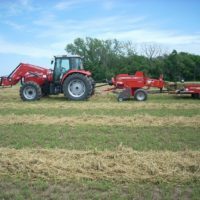 Let the baler bale hay: Many bale accumulators are dependent on the baler's plunger to make the accumulation system work. This inhibits baler performance, slows the bailing process, and creates more stress on your baler and tractor. 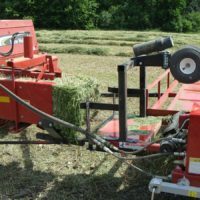 The Bale Caddie system is completely independent of your baler's operation and allows you to operate your baler at its maximum output capacity. The Bale Caddie has a unique, patented hydraulic system that requires only 12-15 gpm for optimum operation. The hydraulic system is simple in design yet offers distinct advantages. 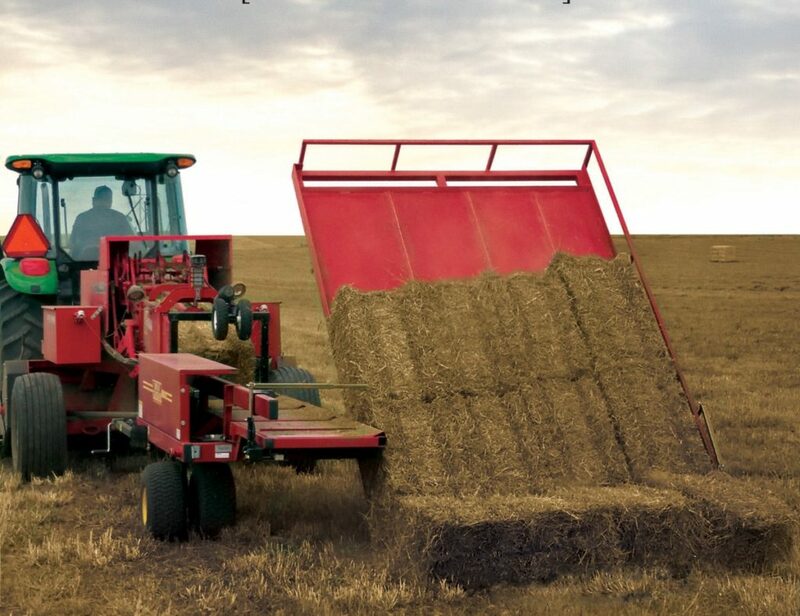 Safety for your Tractor: With the patented hydraulic system of the Bale Caddie, you can be worry free about overheating your tractor's hydraulic oil. The hydraulic system is designed with an "open" flow dynamic, where oil flows through the system without creating excessive heat. No need for extra coolers and no need to worry about hydraulic oil temperatures. 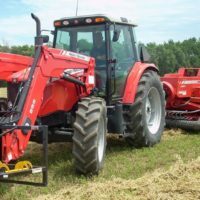 All Tractors: As long as your tractor has a minimum 12-15 gpm hydraulic flow, it can operate the Bale Caddie with ease. 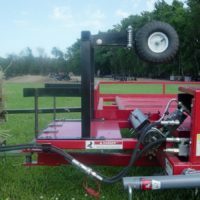 The hydraulic system of the Bale Caddie allows for use with an either open-center or closed-center tractor hydraulic system. No hydraulic adjustments: When attaching the Bale Caddie to your baler, there are no hydraulic adjustments needed on the unit for operation. No pressure setting, flow setting, nothing! 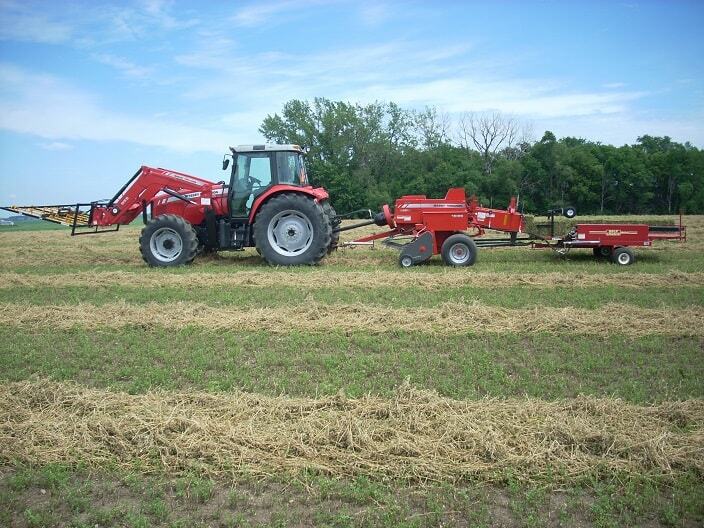 Simply adjust the flow from your tractor and speed of the spike roller and you are ready to bale hay. 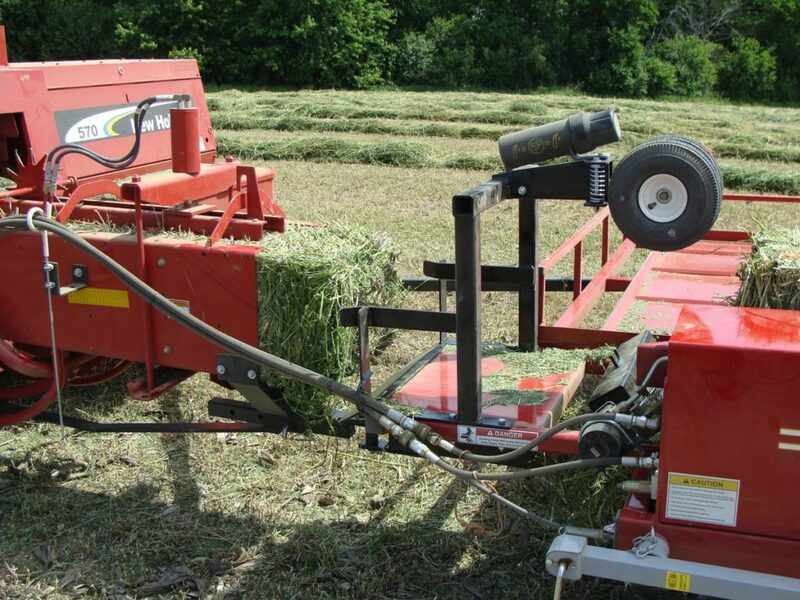 The Bale Caddie is designed to maintain bale integrity from your baler to your barn, wagon, or stack. 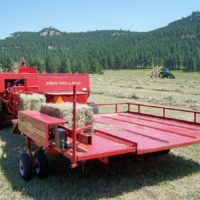 The complete process of taking bales from the baler, organizing on the bed, and placement of bales upon ejection from the bed is based upon handling the bales gently and uniformly. 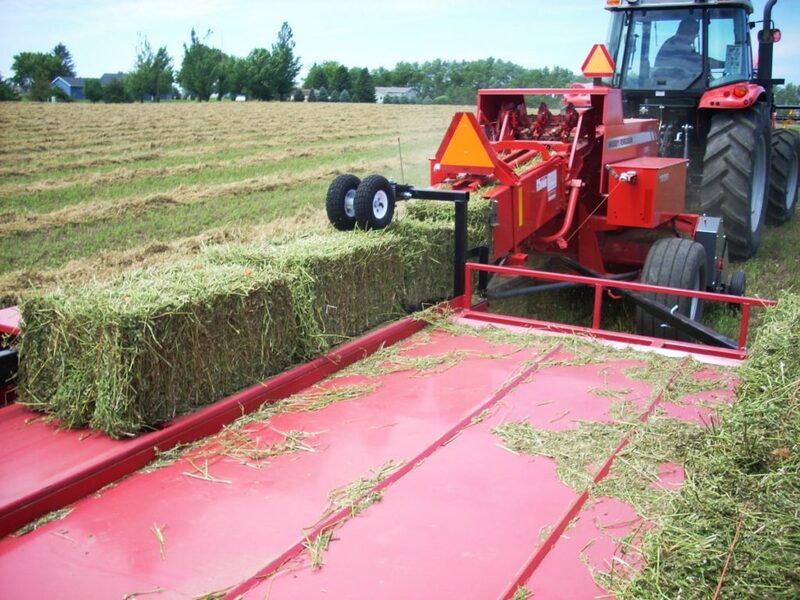 Bale Placement: The Bale Caddie places bales face down rather than on edge. Bales placed face down are retrieved easier with the Bale Grabber and are not apt to fall over as bales placed on edge. 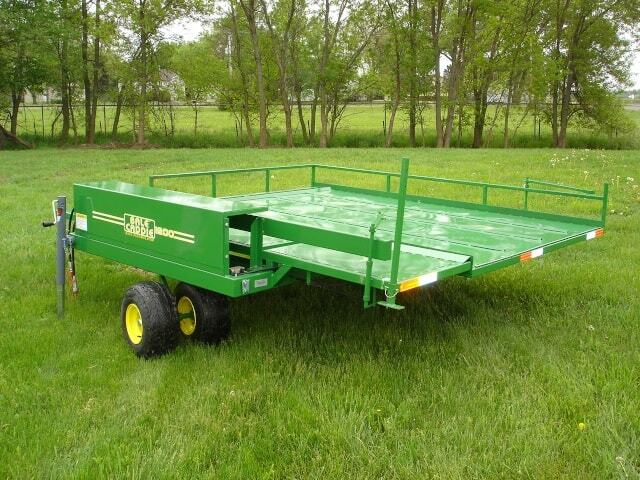 Bale Ejection: The speed of ascent of the Bale Caddie's bed allows for quick ejection of bales. Bales are dropped quickly, leaving the pack tight and easier to handle. Bale Quality: The Bale Caddie is a carrier type accumulation system, meaning the bales are carried until a full pack is created. Bales are kept clean and intact, not subject to damage.